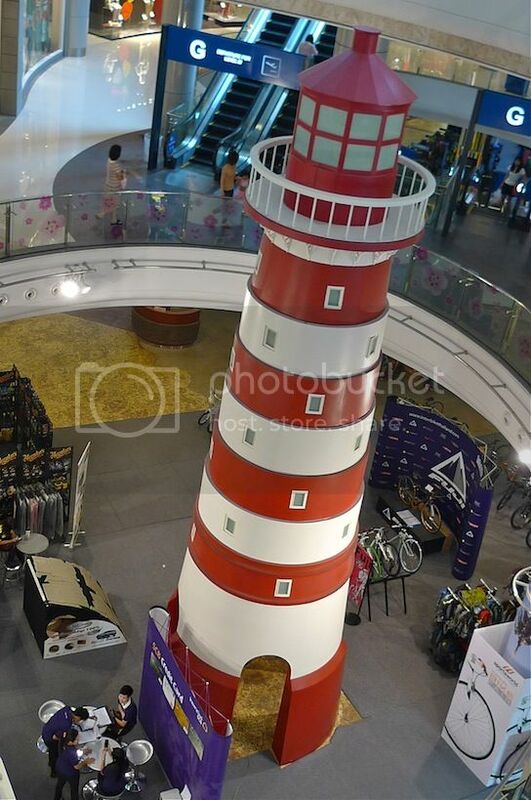 Surprisingly, I did not take many photos of the Paris-themed Mezzanine floor of Terminal 21 shopping mall in Bangkok. Probably there were nothing interesting about this floor? All I remember is that there are a number of fashion outlets by Thai designers on this floor. 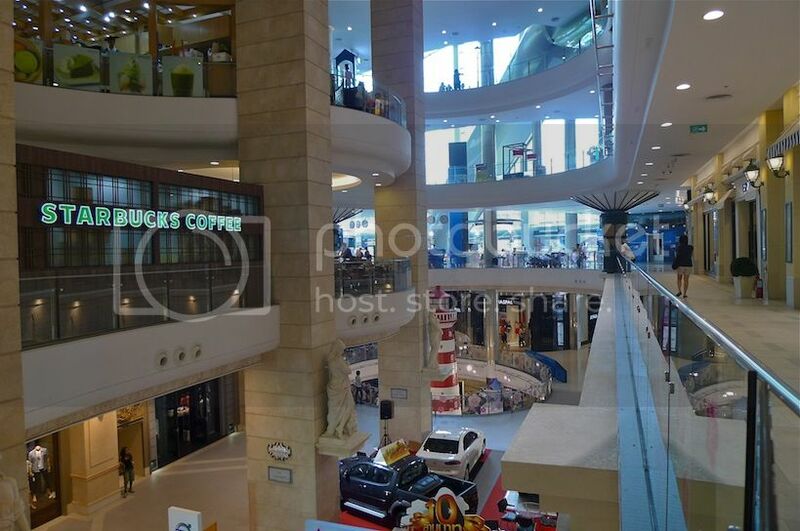 The only photo I have is this one below showing Starbucks. 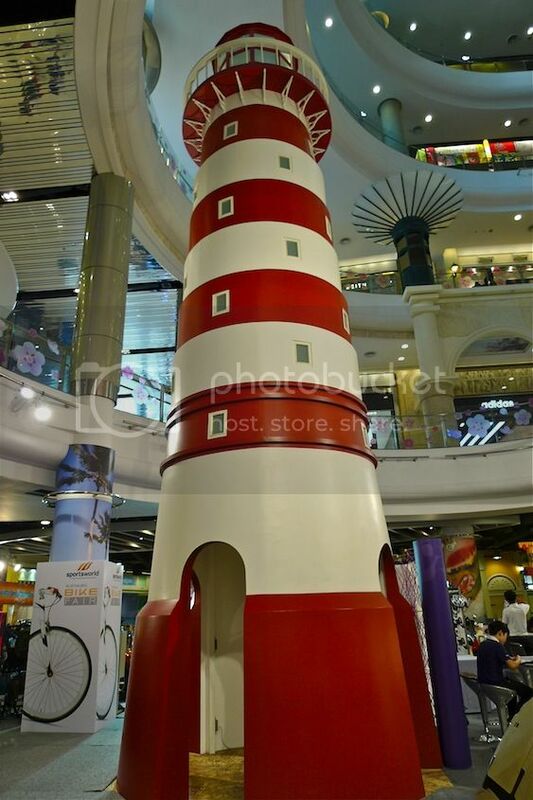 Two landmarks stood out at the Lower Ground floor, which is the Carribean floor. One is this red lighthouse. The light house viewed from the bottom. 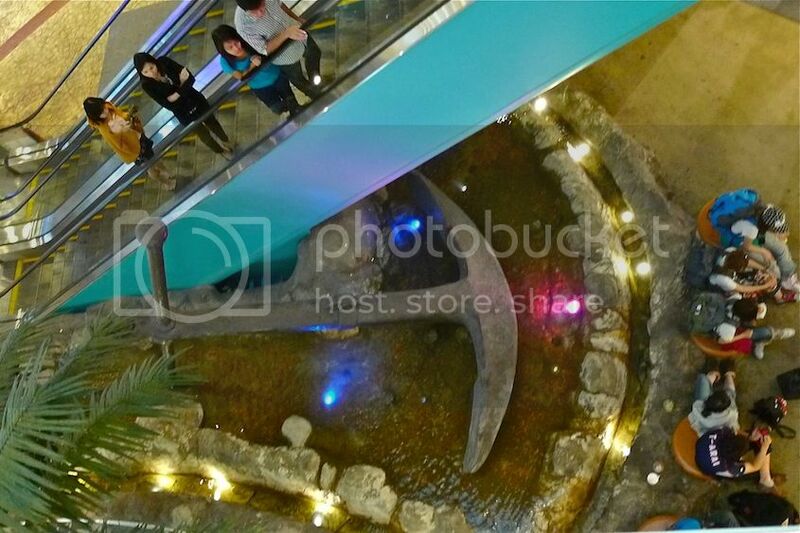 The other is this giant anchor next to the escalator. 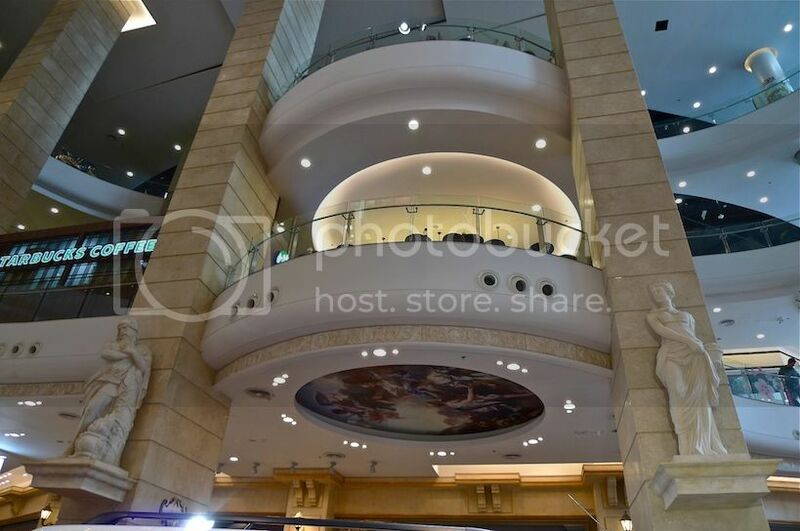 The Carribean floor consists of a spacious supermarket called the Gourmet Market, banks, restaurants and many other shops. I saw familiar names like Watsons, Baskin Robbins and Subway. 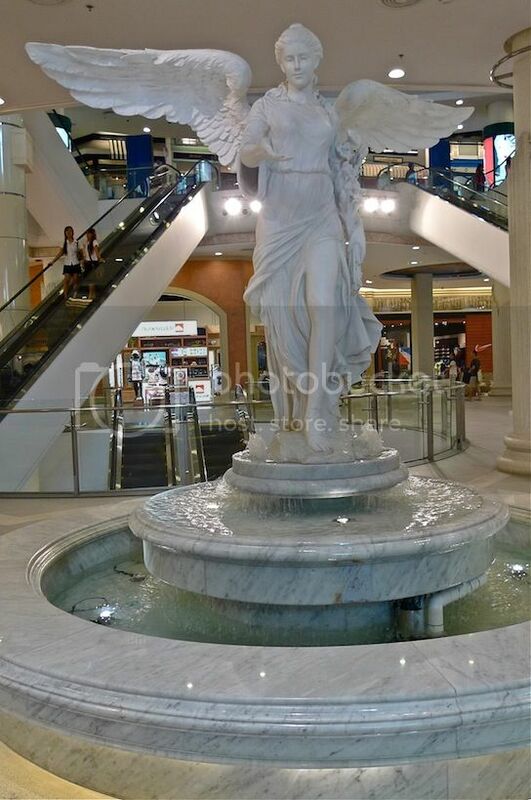 The Ground floor has many marble statues inspired from Roman architecture. This is one on top of a fountain. Two marble statues by the pillars with nice paintings on the ceiling. 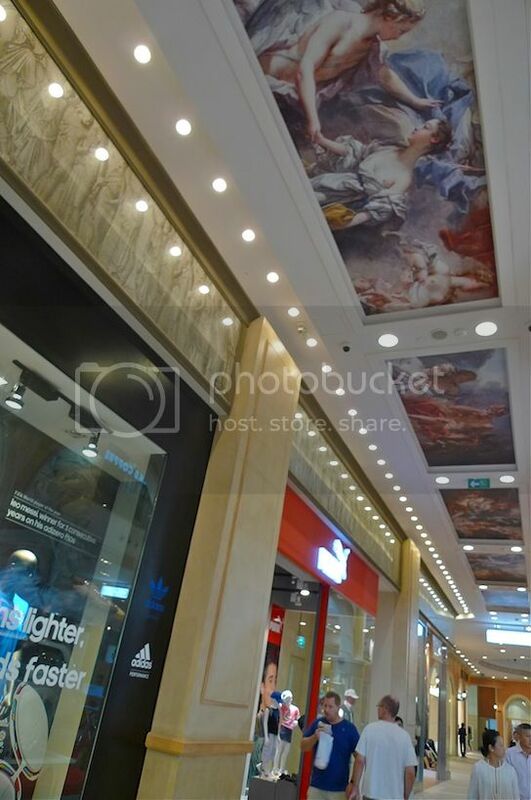 More artistic paintings on the ceilings can be found all over on this Rome-themed floor. The shops here are mainly of well known brand names like Nike, Levi's, Adidas, G2000, Guess and so on.